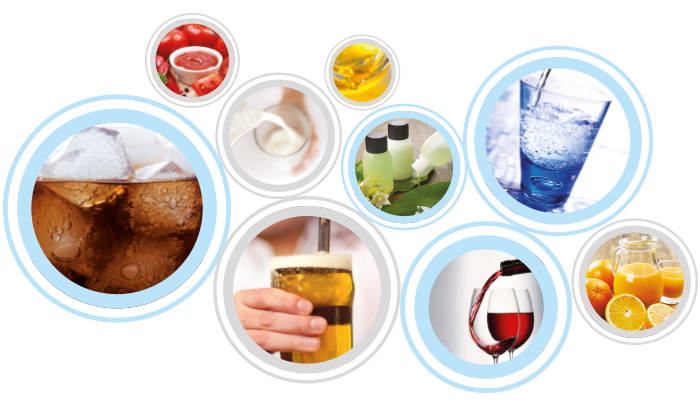 SMI is specialized in the design, manufacturing and installation of complete bottling lines and packaging systems for flat and carbonated beverages and liquid products in PET containers from 0.10 to 10 L, with output capacity up to 36,800 bottles/hour (according to machine models and type of container). Every line engineering solution proposed by SMI is the outcome of a preliminary study of the bottling & packaging project, during which accurate analysis of product accumulation, distribution and conveyance dynamics are carried out in order to ensure a smooth and constant production flow and the maximum operational flexibility of the machines installed. An advanced automation and control system compliant with Industry 4.0 technology and sophisticated sensors distribuited all along the bottling line (IoT architecture) enable to achieve high machine yields in all of the steps of the manufacturing process; furthermore, highly-automated equipment allow optimising the employment of raw materials, work force and energy resources thus improving the environmental and social compatibility of the solutions proposed. An accurate design of a complete bottling line, an appropriate sizing of machines and equipment and a smooth running of the whole system are essential factors enabling the manufacturers of the food & bevarage sector (water, soft drinks, edible oil, milk, etc.) to produce efficiently, to cut production costs and to achieve a good competitive edge on the markets they are focussing on. The design of turn-key systems is carried out by SMI by taking into consideration the most sophisticated and modern parameters in terms of machine size reduction, integration of machines or functions into multi-tasking units, ease of use, energy saving and running and maintenance cost reduction. Moreover, customers can count on a widespread and efficient after-sales service, that takes care worldwide of the setting in motion and the maintenance of SMI complete lines.